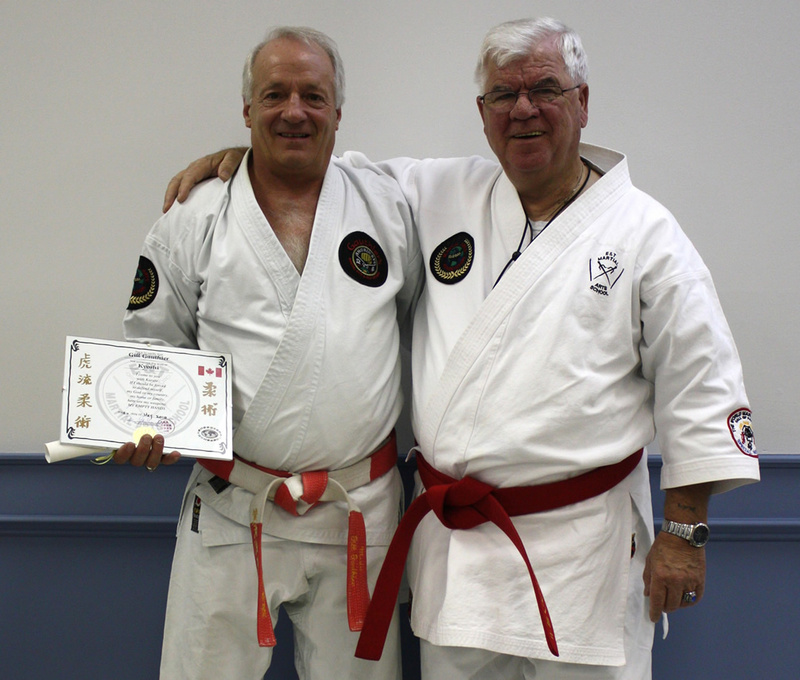 After 40 years in the martial arts, Orillia Shorin-Ryu karate instructor Gill Gauthier is finally getting some recognition. The head instructor and owner of Gauthier’s Martial Arts and Self-Defence Ltd. was named Instructor Of The year by the World Karate Union hall of Fame this past weekend at their ceremony in Pennsylvania. In addition to the personal accolades, Gauthier’s interest in the sport was also renewed via his associate with Global Martial Arts. For years, he has searched for an organization with which he could associate his academy, but was constantly put off by politics and business focus displayed by most groups. “We’re not about money”, Gauthier said of his philosophy concerning his academy. “We’re about teaching people that everybody should have a chance to learn martial arts”. “I have people here (in the dojo) who can’t afford to pay. I’m not going to tell a 7 year old, “Get out of here, you can’t afford to pay”. “(Global) is the first organization that I’ve found that is people for people”, he added. “That’s the most important part. There is so much politics in the martial arts these days, and this affiliation isn’t about that”. One of the unique ways that Global Martial Arts is attempting to help is by taking on students with special needs.